Last year, 1,603 girls in 156 Girl Scout Troops participated in the campaign and collected 77,909lbs of food. Girl Scouts, this year and in years past, drop off empty grocery bags at the doors of their neighbors; filled bags will then be picked up by USPS carriers. Donations will also be accepted at various donation booths in neighborhoods and Safeway Stores and at Girl Scout events and activities throughout the month. 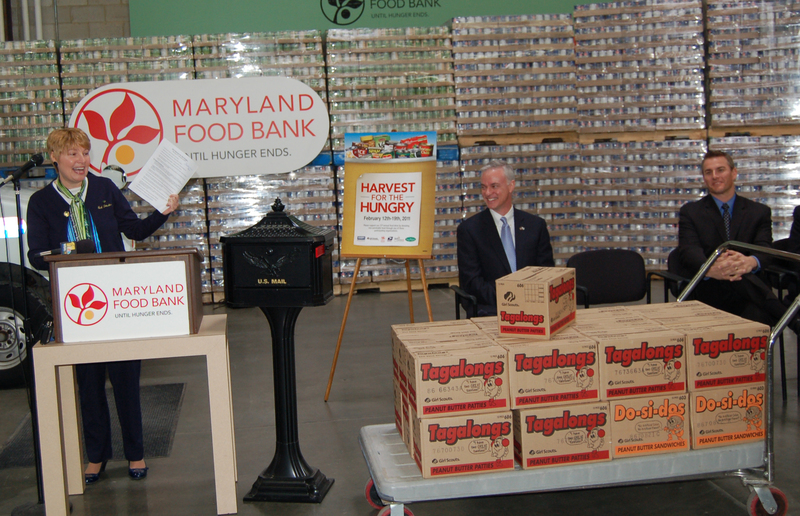 For more information about Harvest for the Hungry, visit www.mdfoodbank.org/harvest.